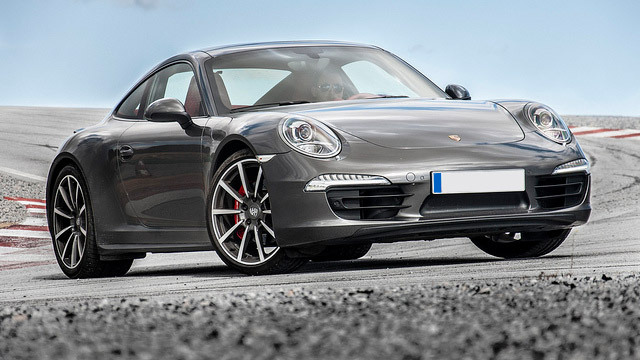 Finely tuned high-performance cars such as Porsches require a knowledgeable and experienced auto mechanic and auto repair shop with the latest technology and equipment. Thankfully, JW Auto Care, which serves the greater Scottsdale and Tempe areas, has the auto mechanics and the auto repair shop to service your Porsche, whether it’s for repairs or routine and annual maintenance. The auto mechanics at JW Auto Care are all up to date on the most current techniques, tools, and technologies to keep your beloved Porsche running smoothly. Our auto repair shop has an 11-bay service area, allowing your vehicle to be repaired or maintained in a timely and efficient manner. We’ll give your Porsche a thorough multi-point visual inspection, pinpoint the problem if there is one, give you a written estimate, and discuss with you the various options. Just know that you will be given the ”red carpet treatment” and will drive away knowing your Porsche was handled by the best auto mechanics in the Scottsdale and Tempe areas. “I've never enjoyed going to an auto shop, but I actually do enjoy every experience I have with JW. They are friendly, efficient, reliable, and honest. I waited there for about an hour yesterday. The waiting room is clean, comfortable, and stocked with drinks, magazines, and candy. I am so thankful to have found them a few years ago when I moved to Arizona. I will never go anywhere else!” -- Erin R.
When you bring in your Porsche in for maintenance or repairs, you can be certain that the auto mechanics at JW Auto Care in Scottsdale have your safety and comfort in mind and we will do our best to get you back on the road with your car in tiptop running condition as quickly as possible. For auto repairs and maintenance, call us or schedule an appointment online. JW Auto Care is located at 3011 N. 73rd St., Scottsdale, AZ 85251.